Author/Poet T.K.Ware releases the book….that’s more than a book…..a journey of fictitious reality. The cold silence within the room, carries the beeps echoing from the heart monitor. An imminent presence of death circled, my vision fixated on this body, covered by past images. I regret driving that night. I blame myself for bringing the others into my state of mourning. Bitterness, hatred, and agony possessed me. You know, it wasn’t even about Max or what he stood for. I was drowning in emotions. Sadly, I knew something happens after death, but I just didn’t want to know what that something was. The night was dreary, stained with misfortune……. 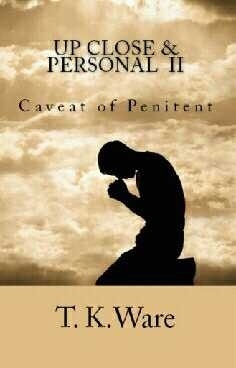 A faith based series with a suspenseful twist. A fictional forecast of reality of God’s grace, mercy, and judgment. Success is only a door away. The key lies within our mind.